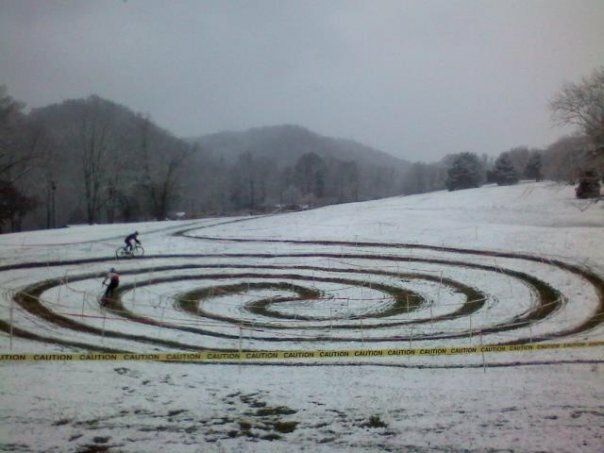 On a very early Sunday morning with temps in the 20’s and the course an “ice rink,” Mars Hill College Cycling claimed its first podium at a national championship and was ranked as the 3rd cyclocross men’s team in the nation. MHC was led by Matt Willing who fought back from a mid-pack start to claim the fourth of five podium spots. Paul Webb finished closely behind in sixth place. Kyle Knott had an unfortunate mechanical which effectively ended his race, but with only two of three riders eligible for team points, MHC Cycling still claimed third overall in the men’s competition, proving that they are one of the strongest Div II cyclocross teams in the nation. Next year we’ll be back for more, aiming for the overall team title and a couple of individual jerseys as well. Special thanks to the Price’s in Portland and to Lee and Jay in Bend. You fed us, sheltered us, bandaged us… thank you. This was a great end to the year, and the team looks forward to carrying momentum into our Spring road campaign starting at the University of Florida the first weekend of February. We are proud to announce that Neo Burrito has joined our team of eco-friendly sponsors. For the next year, they will be the team’s official burrito supplier, giving us the pre-race and post-race yummy calories we need to ride bikes fast. Go check out their website at neoburrito.com. Wow. Welcome to our green team Neo Burrito. Go get a burrito. They’re in W. Asheville right near the Patton/Haywood intersection. Their sauces rock too, BTW. 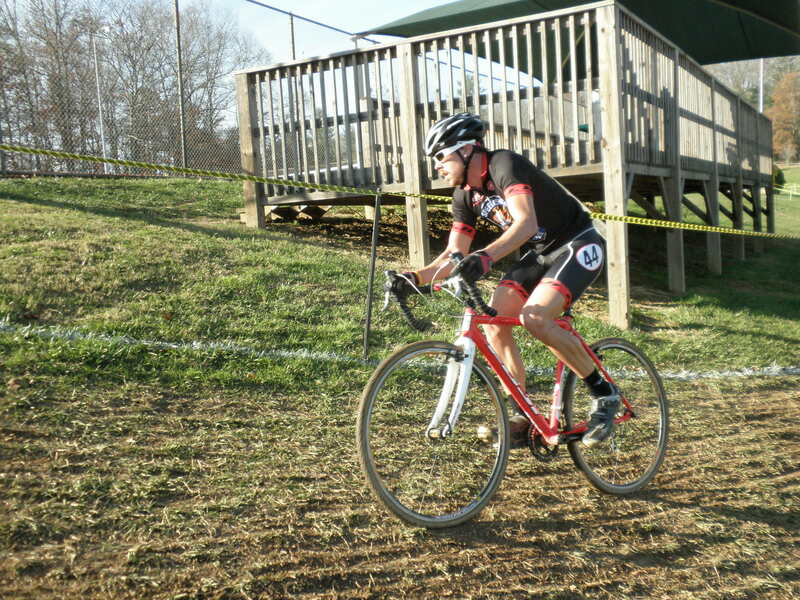 Kyle Knott, our team’s newest member, won the Virginia cyclocross championship (category 3) last weekend. Kyle won on a technical and muddy course, which he described as the “the hardest course I’ve ever done.” On the first lap Kyle broke away with another rider and immediately put 30 seconds into the chasers. These two battled for the front constantly, fighting for the best lines on a tricky and muddy course. Approaching the last corner, Kyle sprinted past his breakaway companion, taking the last corner first and sprinting to the victory. 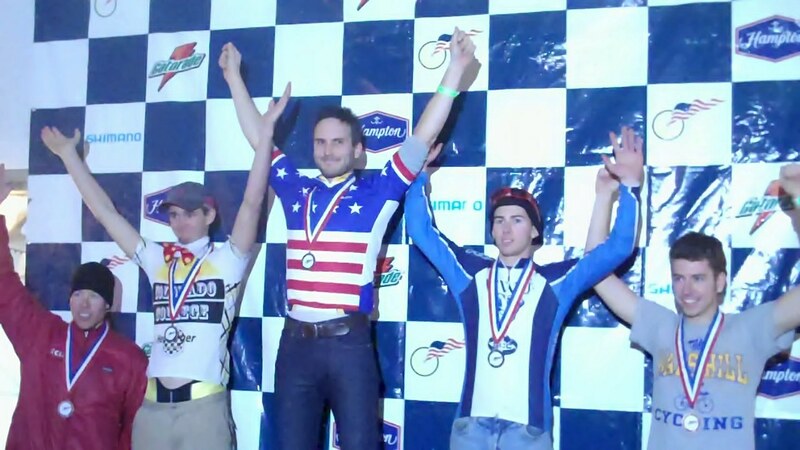 Kyle is ready to lay it on the line at this weekend’s National Collegiate Cycling Championships. What an awesome picture from Mud, Sweat, and Gears #5 last weekend. Both Matt Willing and Paul Webb used the race as a tune-up for this coming weekend’s National Championships. They ended up 6th and 7th, riding about at about 80%, saving the big mojo for next weekend. The weather in Bend, OR, looks to be in the 20’s and 30’s with a chance of snow. So this was indeed a good prep.